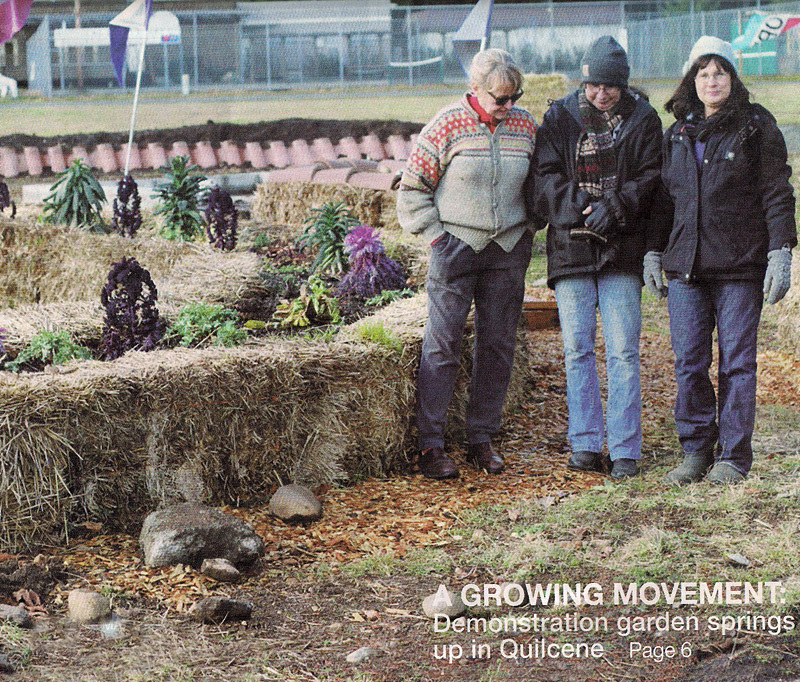 Volunteers at Quilcene’s Community Garden (on US 101) invite everyone to a barbecue on Tuesday June 20 from 4 to 7 pm in the Gardens to welcome summer and the growing season. Grilled sausages and salads are free,but bring your own beverage and maybe a dessert of your choice. 360-774-0465 for more. Contact: Anne Ricker 360-765-4447 or 360-774-0465 if you have questions. 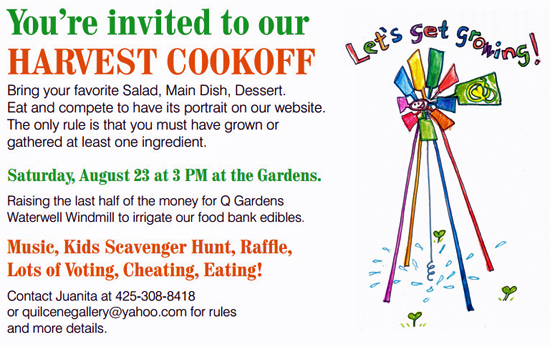 Bring your favorite salad, main dish, or dessert to compete and WIN! See the flyer for details and save the date! Open House at QG Saturday May 24th! 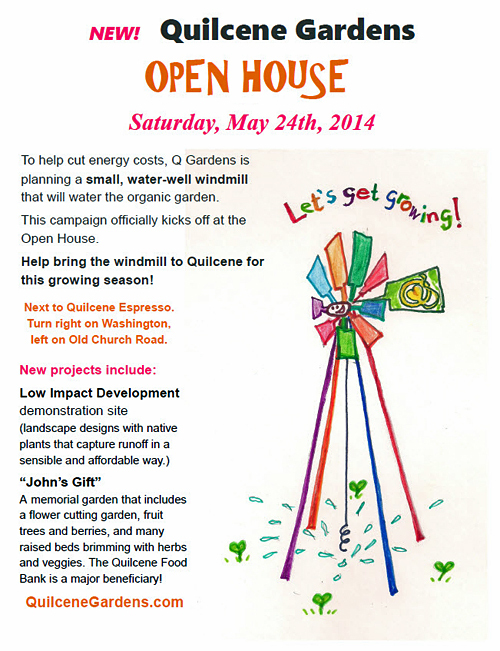 To help cut energy costs, Q Gardens is planning a small, water-well windmill that will water the organic garden. This campaign officially kicks off at the Open House. Help bring the windmill to Quilcene for this growing season! Enjoy refreshments and free garden tours too.